The most powerful Chevrolet Camaro is taking a turn to the dark side and we couldn’t be any happier. No, it’s not becoming evil, although it’s about as mean and menacing as a Camaro can get. 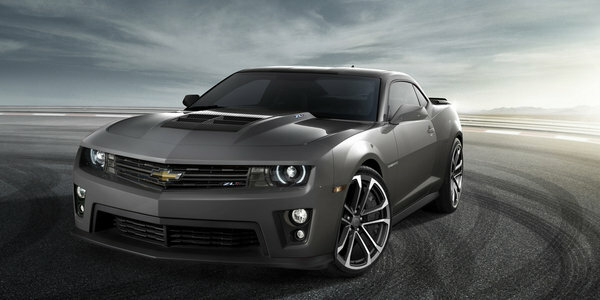 What we’re talking about is the first 2012 Camaro ZL1 special edition model: the ZL1 Carbon Concept. To begin with, the ZL1 Carbon Concept already has everything the standard ZL1 possesses, including the massive 6.2-liter LSA supercharged V8 engine that produces a gnarly 580 horsepower and churns out 556 lb/ft of torque. But more than that, the ZL1 Carbon Concept carries plenty of unique style features that Tony Roma, program engineering manager for the Camaro ZL1, attests to. ?This concept?s dramatic appearance matches the extreme performance capabilities of the Camaro ZL1,? he said.